It was a twist in the political scene as the former President, General Babaginda was said to have issued a statement to President Muhammadu Buhari, through his media aid, Kassim Afegbua, telling him to step down in 2019 to allow for a generational shift and urged Nigerians to cooperate with the Buhari till his tenure ends. The statement further lamented the flow of blood in the country. The comments of the former military ruler come two weeks after former President Olusegun Buhari advised President Buhari not to seek for a second term in office. To Babangida, Nigeria is at a major crossroads at this moment in its history. He specifically warned that the choices Nigerians make regarding the leadership question would determine the country’s vision politically, economically, and religiously. While regretting that Africa’s most populous nation is still in search of the right leadership to contend with the dynamics of a 21st century, the former military believes that our strength lies in our diversity. He said, “In 2019 and beyond, we should come to a national consensus that we need new breed leadership with requisite capacity to manage our diversities and jump-start a process of launching the country on the super highway of technology-driven leadership in line with the dynamics of modern governance. “It is short of saying enough of this analogue system. Let’s give way for digital leadership orientation with all the trappings of consultative, constructive, communicative, interactive, and utility-driven approach where everyone has a role to play in the process of enthroning accountability and transparency in governance. However, that same day General Ibrahim Babangida dissociated himself from a statement credited to him and signed by his media aide, Mr Kassim Afegbua. 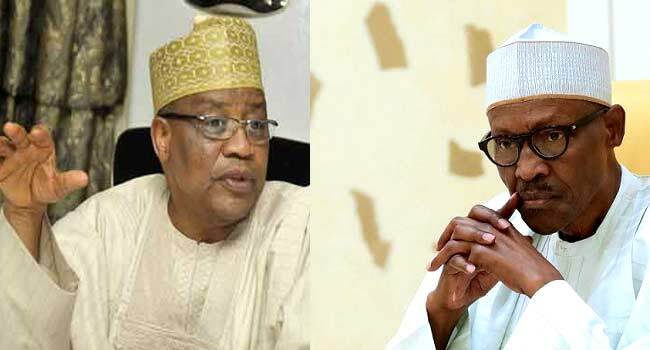 In the statement personally signed General Babangida, he said as former President and statesman, he has an unfettered channel of communication with the highest authorities without sensational public correspondence. He, however, expressed worries over the current political events and civil unrest in many parts of the country, which he said have raised many questions on the governance and unity of Nigeria. 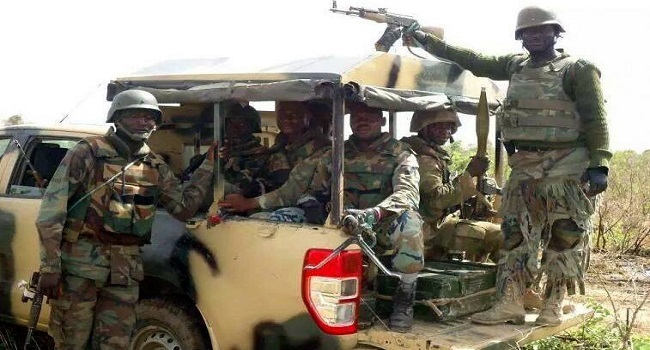 Still in the nation’s capital, on Sunday, military authorities revealed that the Nigerian army has completely defeated Boko Haram insurgents in the country. 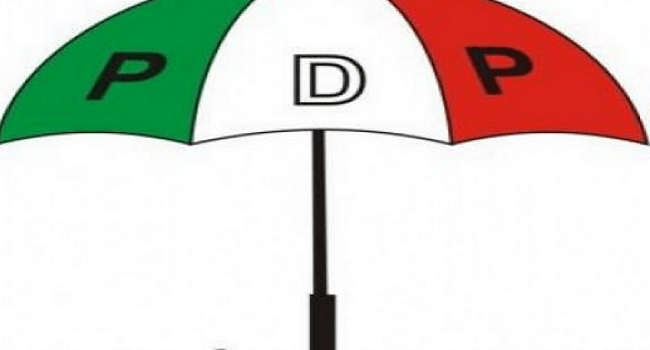 On corruption matters, on Monday, the Peoples Democratic Party (PDP) accused the Federal Government of ‘massive corruption’ amid the controversy over the alleged payment of fuel subsidy. The party made the allegation in a communique issued shortly after the meeting of members of its National Working Committee (NWC) on Sunday in Asaba, the Delta State capital. As fuel scarcity persists, the PDP questioned why billions of naira are allegedly deducted monthly from the Federation Accounts. Just a day after the military claimed they have completely defeated Boko Haram, this did not go down well with the sect group as one person was reportedly killed after suspected Boko Haram terrorists attacked Kala village, opposite the Internally Displaced Persons (IDPs) camp in Dalori, Borno State. An official of the State Emergency Management Agency (SEMA), Mr Bello Dambatta, confirmed the attack to Channels Television in a telephone interview on Monday. Dambatta, the Head of SEMA Rapid Response Team, said the deceased was set on fire by the insurgents who injured another man during the attack which occurred on Sunday night. According to him, the assailants also burnt down some houses in the village. The SEMA official said officials of the agency are already at the scene while the injured victim has been evacuated to the Maiduguri Specialist Hospital in the state’s capital. 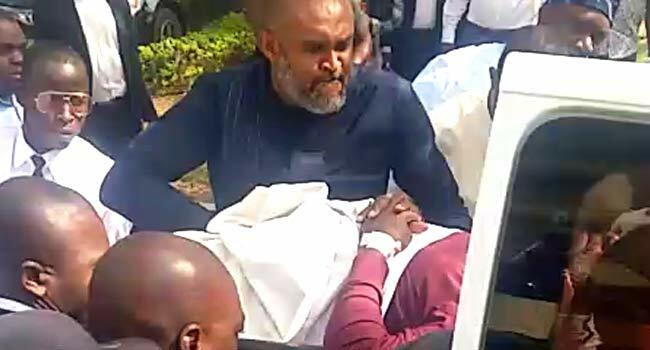 Now to legal issues, former National Publicity Secretary of the Peoples Democratic Party (PDP) Olisa Metuh, has appeared at the Federal High Court in Abuja on a stretcher. After the statement released by the former President, General Ibrahim Babaginda through his media aid, Kassim Afegbua, telling President Muhammadu Buhari to step down in 2019 to allow a generational shift, the police has declared the spokesman wanted. Still explaining, Mr Moshood stated that the controversy started not long after he issued the statement when a second statement was issued in which the former military President denied authorising the statement. In declaring Mr Afegbua wanted, the police advised him to report to the nearest police station. 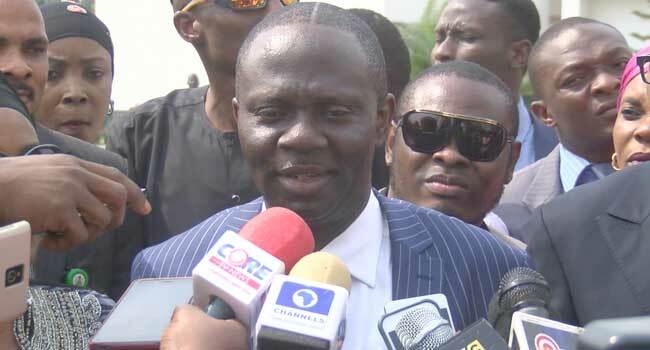 On Tuesday morning, the Police Public Relations Officer, Jimoh Moshood, told Channels Television that Mr Afegbue made “injurious falsehood”, among other criminal offences. “The Inspector General of Police has ordered his arrest for giving false statement, making injurious falsehood and equally defamation of character or an act which is inimical to law and order in the country,” Mr Moshood said when he appeared on the breakfast show, Sunrise Daily. He added that the police became involved after General Babangida denied authorising the statement. On Tuesday, President Muhammadu Buhari, ordered the arrest of persons in possession of illegal firearms vowing to put an end to the incessant killings by maintaining law and order in the country. 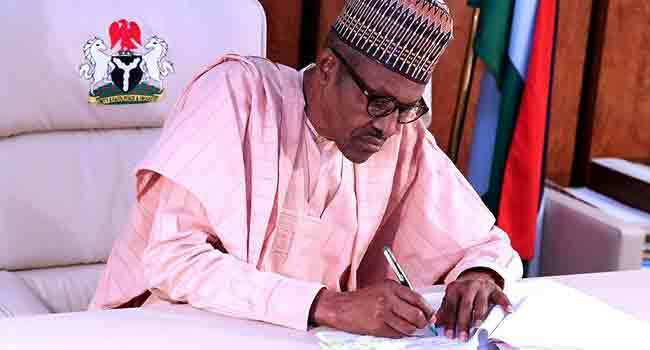 In another controversy, President Muhammadu Buhari on Tuesday reinstated the suspended Executive Secretary of the National Health Insurance Scheme (NHIS), Usman Yusuf. is in furtherance of the activities of the investigative panel of inquiry as well as the desire to have an uninterrupted and robust investigation of all petitions against some officials of the NHIS. But the Federal Government through the Minister of Information, Lai Mohammed has said the reinstatement of the NHIS boss will not stop the EFCC from further investigations concerning him. On the farmers/herdsmen crisis, the House of Representatives has asked President Muhammadu Buhari, to sack and replace the Inspector General of Police (Ibrahim Idris). The lawmakers are asking President Buhari to replace the IGP with a more professional officer. They made the call during plenary on Wednesday, accusing the IGP of failing in his duty. The lawmakers had earlier considered a motion demanding the immediate removal of the Police Public Relations Officer, (PPRO), Jimoh Moshood, for making derogatory remarks against the Governor of Benue State, Samuel Ortom. In the motion sponsored by Rep. Mark Gbillah which enjoyed the support of most lawmakers, the conduct of the police officer was roundly condemned. The motion seeks to have the Inspector General of Police (IGP), Ibrahim Idris, to provide an unreserved apology to the Benue state governor and also relieve the PPRO of his position. Earlier, the Benue state Caucus of the House had addressed a press conference demanding the resignation of the PPRO over professional misconduct and partisanship. According to the lawmakers, the statements of the Police Officer while appearing on the Channels Television Programme, Sunrise Daily, where he demanded the resignation of the Benue state governor indicates the partisanship of the Nigerian police as an agency. 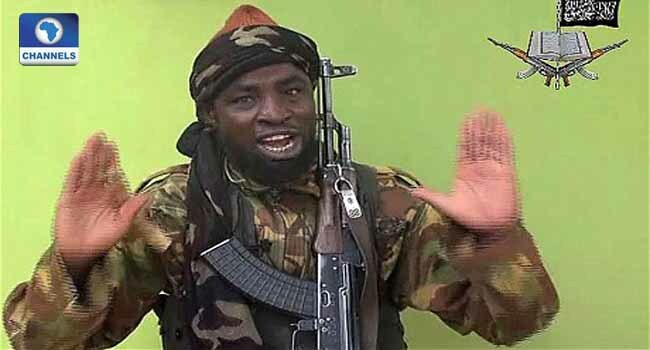 It seems the leader of the Boko Haram, Abubakar Shekau, is not letting his guards down as he has released a new video pledging to continue attacks days after Nigerian army repeated that the group had been defeated. The factional leader said in the video which was released on Tuesday said that a recent effort to clear out Boko Haram’s stronghold of Sambisa forest in Borno State had failed and vowed to keep fighting against Nigeria and western education. “The person that believes in nationalism is the one we are at war with, the person who believes in disseminating western education, which is replete with unbelief, is the one we fight”, Shekau said in the 11-minute video. In the video, delivered in Hausa Language, Shekau expressed frustration on the continued hostility and loss of his supporters to Nigerian army. In a way to curb the farmers/herdsmen clash, the Nigerian Army has launched a new operation code-named “Ayem Akpatuma”, meaning ‘Cat Race’ to tackle the crises between herdsmen and farmer as well as cases of kidnapping in Benue and other states. 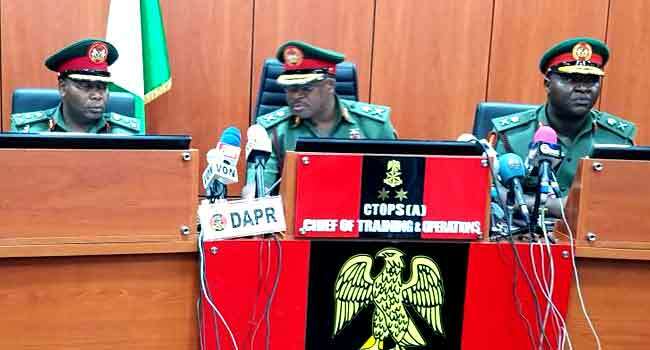 Chief of Training and Operations, Major General David Ahmadu, announced this on Wednesday while briefing reporters at the Army Headquarters Conference Room in Abuja. According to him, the operation will run from February 15 to March 31 in Benue, as well as Taraba, Kogi, Nasarawa, Kaduna and Niger states. The deployment came after several killings involving farmers and herdsmen in the north-central region of the country which resulted in several deaths and destruction of property worth millions of naira. 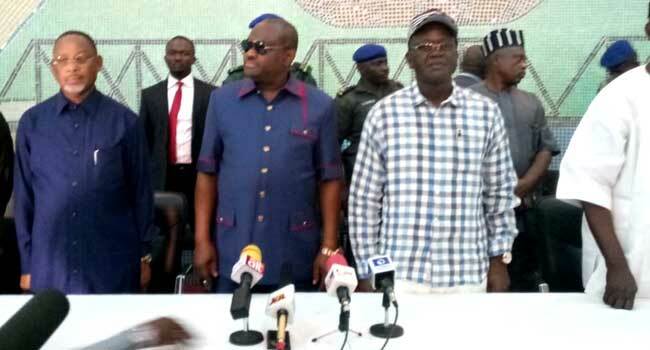 In commiserating with the Benue state governor, Samuel Ortom over the recent in the state, the governors of Ekiti, Ayodele Fayose and Rivers state, have visited the state. Fayose, who was received by Governor Samuel Ortom, declared support for the Anti-Grazing Law implemented by the state government in 2017, warning that it must not be compromised. The Ekiti Governor said there was a federal conspiracy against the law and criticized the Federal Government and security agencies for poorly handling threats to the state prior to the New Year’s Day attack which left 73 indigenes of the state dead. While Governor Wike donated the sum of N200 million to Benue State as part of his support to help the state in the recent herdsmen attack its facing. Wike was on a solidarity visit to the state to commiserate with the New Year Killings of about 73 people by suspected herdsmen. He challenged the Nigerian Governors Forum to defend the integrity and office of Nigerian Governors from partisan police authority who demean their Benue state colleague on a live Television programme. 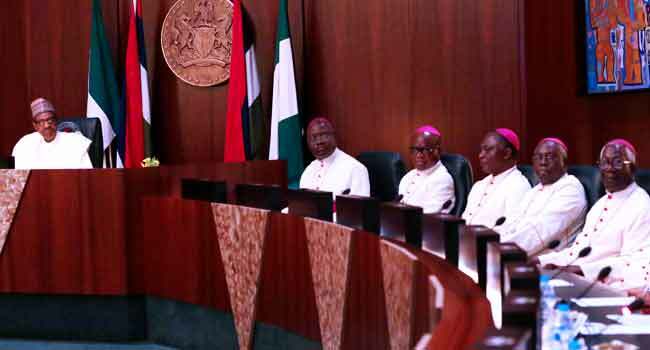 On Thursday, the Catholic Bishops Conference of Nigeria rejected the proposed plan of the Federal Government to set up cattle colonies in the country. 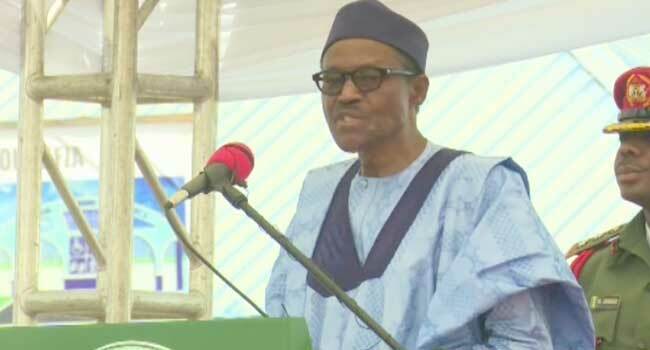 But in his response, President Muhammadu Buhari condemned the speculations that he is doing nothing to address the crisis between farmers and herdsmen in the country. 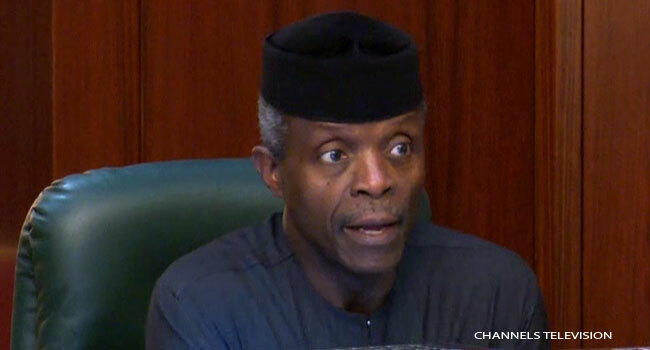 In a bid to reduce the recent crisis affecting the country, the Vice President professor Yemi Osinbajo, has called for the creation of state police amid increasing security challenges in the country. He made the call on Thursday at a National Assembly security summit, as he believes this would help tighten security across the nation. According to him, the state policing system is the way to go because having a centralized system – as is currently practised, cannot effectively secure the nation. Despite calling for the creation of state police, Professor Osinbajo also wants the Nigerian Police Force to be strengthened and proposed that the current number of police in the country be tripled. 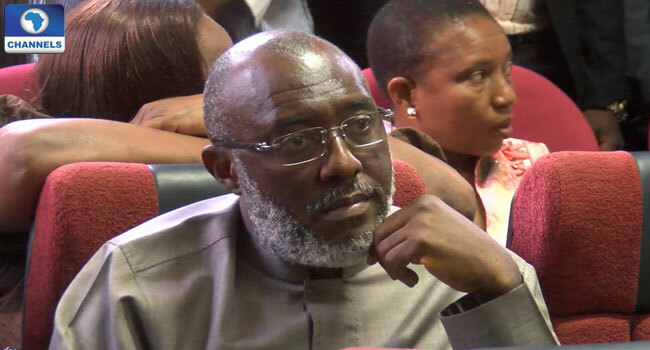 Back to legal matters, the Supreme Court on Friday ruled that a former spokesperson of the Peoples Democratic Party (PDP), Olisa Metuh, should face trial for alleged fraud thereby rejecting his appeal. Metuh is standing trial for allegedly diverting N400 million from the former National Security Adviser, Sambo Dasuki. The trial judge, Okon Abang, had in March 2016 ruled that Mr Metuh and his company, Destra Investment, had a case to answer in the seven-count charge of fraud brought against them by the Economic and Financial Crimes Commission (EFCC). Also, President Muhammadu Buhari on Friday approved the compulsory retirement of Justice Adeniyi Ademola of the Abuja Division of the Federal High Court. The President also approved the dismissal from office of Justice O.O Tokode of the Benin Division of the Federal High Court. Senior Special Assistant to the President on Media and Publicity, Mr Garba Shehu, explained in a statement that the approvals followed recommendations from the National Judicial Council (NJC). 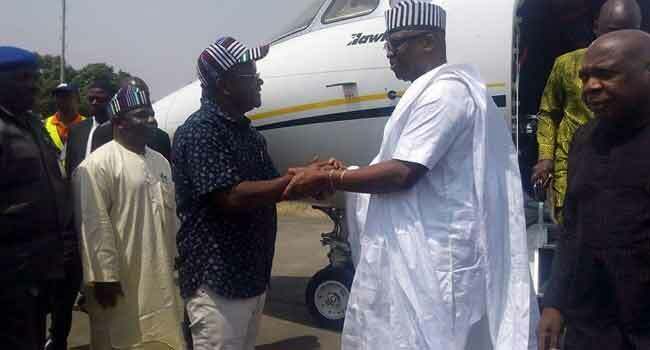 Over the weekend, former President Olusegun Obasanjo on Saturday paid a visit to Governor Okezie Ikpeazu in Umuahia, Abia State Capital. The former President, however, refused to comment on his lengthy public statement where he advised President Muhammadu Buhari not to seek re-election but should in a dignified way dismount from the horse (seat of power). Former President Olusegun Obasanjo in Umuahia, Abia State Capital on Saturday, February 10. 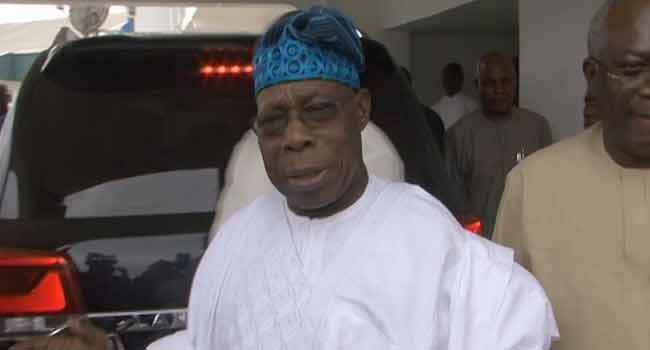 Obasanjo in response to questions by journalists in Umuahia on the public statement only said ‘all is well,’ as he declined to questions with a wave of hands.